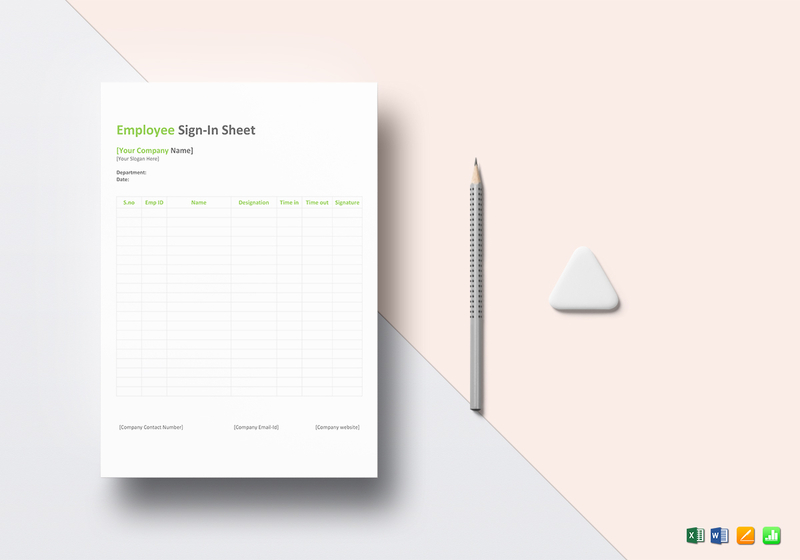 When you don't have automated attendance tracking, use this Employee Sign in Sheet Template. 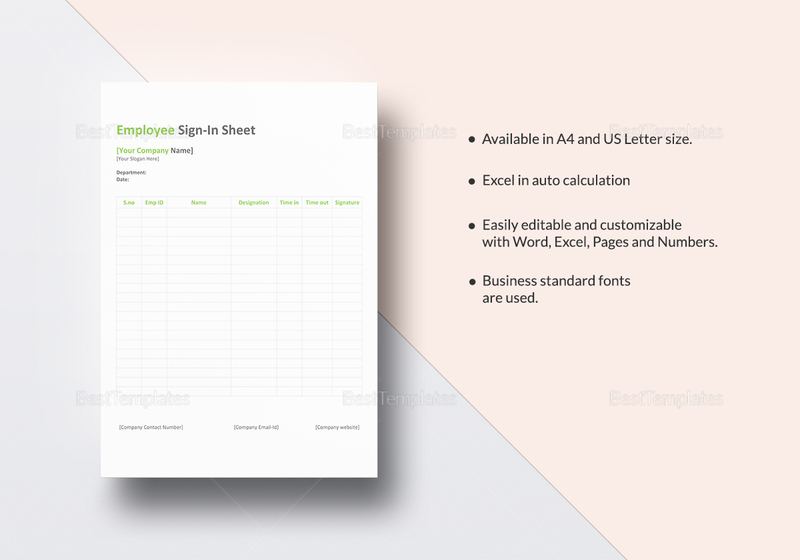 Monitor your employee attendance with this awesome easily editable template with standard business fonts in A4 and US letter sizes. Open using your chosen application and edit away with choice apps like MS Excel, MS Word, Numbers, or Pages.